Follow The "New" Prostate Cancer InfoLink news blog on TWITTER or FACEBOOK. 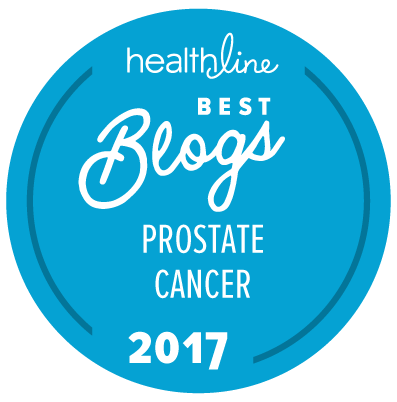 The "New" Prostate Cancer InfoLink has been developed to become a primary source of accurate, current, and topical information about prostate cancer for patients and their families. Copyright © 2008-18 Prostate Cancer International, Inc.
Could “single cell genomics” replace Gleason grading in prostate cancer risk evaluation? If you are on or thinking about active surveillance (AS) as a way to manage your low-risk prostate cancer, you may want to join Prostate Cancer International’s Active Surveillance Virtual Support Group. Our most recent CureTalk on Prostate Cancer (on February 21 this year) features Eli Van Allen, MD, of the Broad Institute and the Dana-Farber Cancer Center, talking about the new “Metastatic Prostate Cancer Project” and how you can become part of the solution. For access to the full list of CureTalks on Prostate Cancer, please click here. News and information provided on this site should not be used for diagnosing or treating any health problem or disease. The “New” Prostate Cancer InfoLink is intended for informational purposes only. It is not engaged in rendering medical advice or professional services and is not a substitute for professional care. If you have or suspect you may have a health problem, please consult your healthcare provider. Does TRT really delay biochemical recurrence after radical prostatectomy (in selected patients)? Curing mice with prostate cancer!